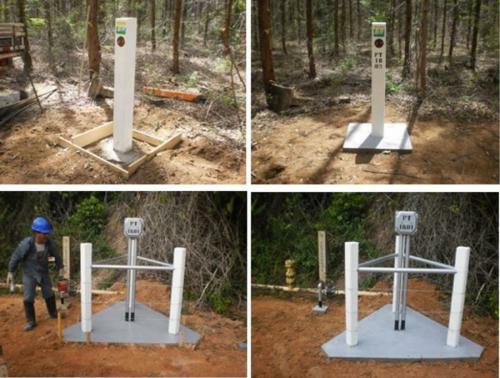 Cathodic protection systems for structures, equipment and buried carbon, steel and cast iron pipes. Cathodic Protection is the most efficient and economical way to protect buried or submerged metal structures from corrosion while preserving physical, human and environmental heritage by mitigating the risks of spills and incidents. It is widely used in pipeline protection. 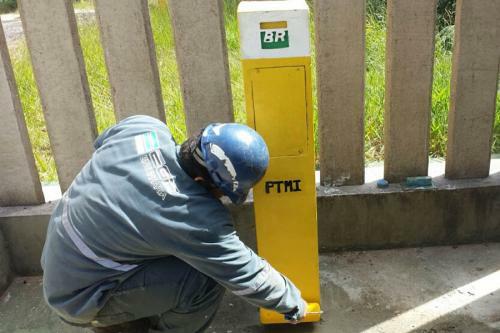 A Cathodic Protection System, set up and running, can be inspected by CIPS - Close Interval Potential Survey, PCM - Pulse Code Modulation and DCVG - Direct Current Voltage Gradient - methods which allow the assessment of both the system and the coating without the need for digging, accurately defining the points requiring repair. Field surveys, design, supply of equipment and materials, installation, pre-operation inspection, operation and maintenance of cathodic protection systems for oil, gas and mineral pipelines, water mains, storage tanks, industrial plants, oil and gas terminals , nuclear power plants, thermoelectric power plants and other major steel structures, built buried or submerged. Design and Implementation of Impressed Current Cathodic Protection Systems: Rectifier, electrical drain, conventional and deep anode ground bed, test station, insulating joint, insulating joint protecting devices, remote monitoring units. Design and Implementation of Galvanic Cathodic Protection System: magnesium, zinc and aluminium anodes, test station and insulating joint. Design and construction of Rectifier and Electrical Drain houses. 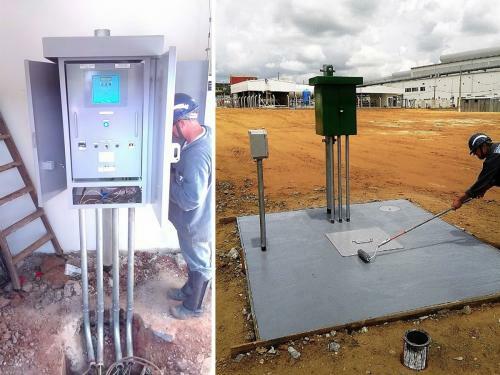 Design and construction of valve boxes. Studies of electromagnetic interference on buried pipelines, caused by high voltage power transmission lines. Studies of electrical interference by DC currents in pipelines and steel structures above and below ground. 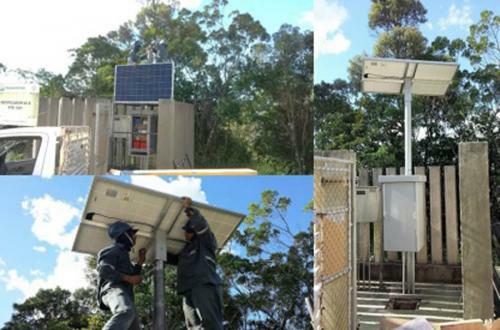 Cathodic Protection Systems Maintenance & Troubleshooting. 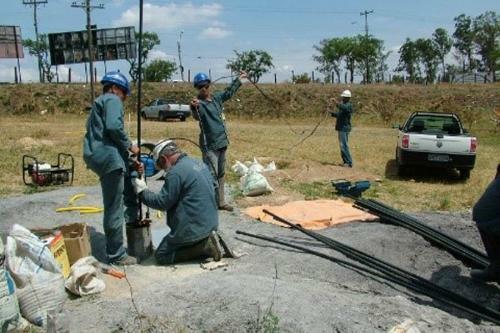 Cathodic Protection Systems Inspection by CIPS (Close Interval Potential Survey method). Anticorrosive coating inspection of buried pipes by the DCVG (Direct Current Voltage Gradient) method. Buried pipeline integrity assessment (cathodic protection system and coating) by CIPS or PCM or DCVG methods. Pipeline mapping providing the depth and coordinated by DGPS (Diferencial Global Position System) instruments with submeter accuracy.